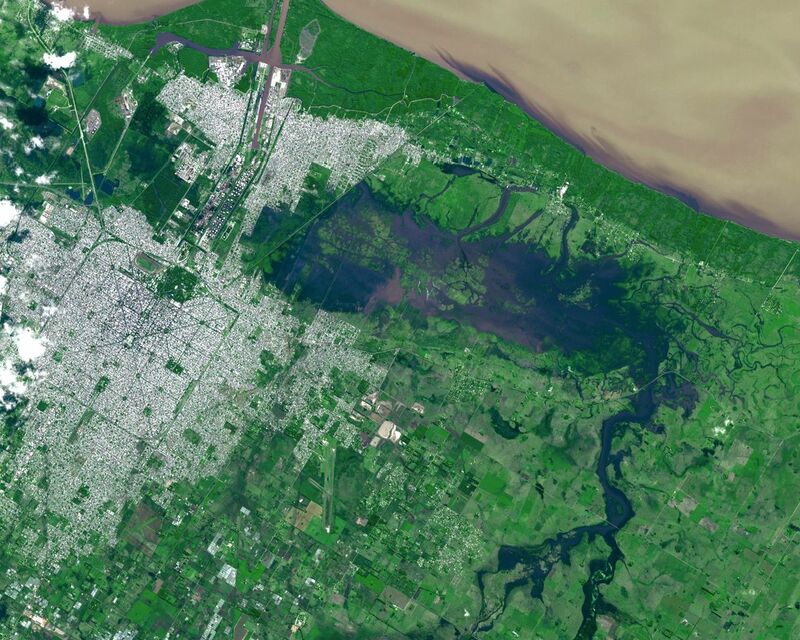 The Advanced Spaceborne Thermal Emission and Reflection Radiometer (ASTER) instrument on NASA's Terra spacecraft captured this view of severe flooding in La Plata, Argentina, on April 4, 2013. Torrential rains and record flash flooding has killed more than 50 and left thousands homeless, according to news reports. 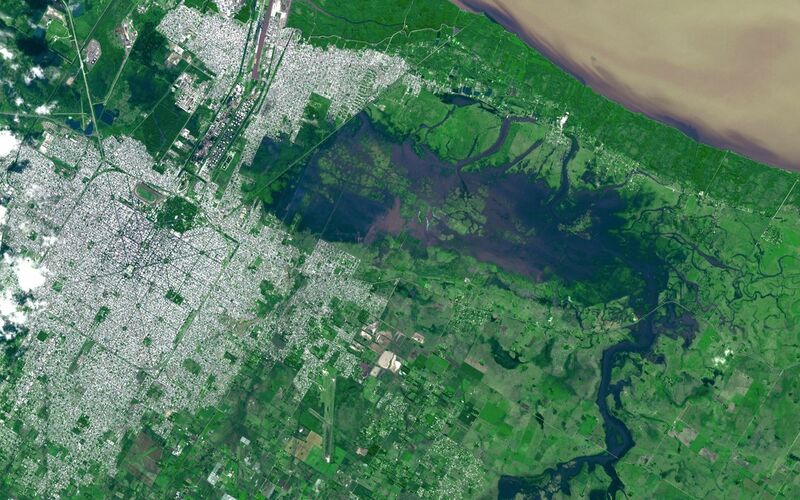 La Plata is located 20 miles (50 kilometers) from Buenos Aires. 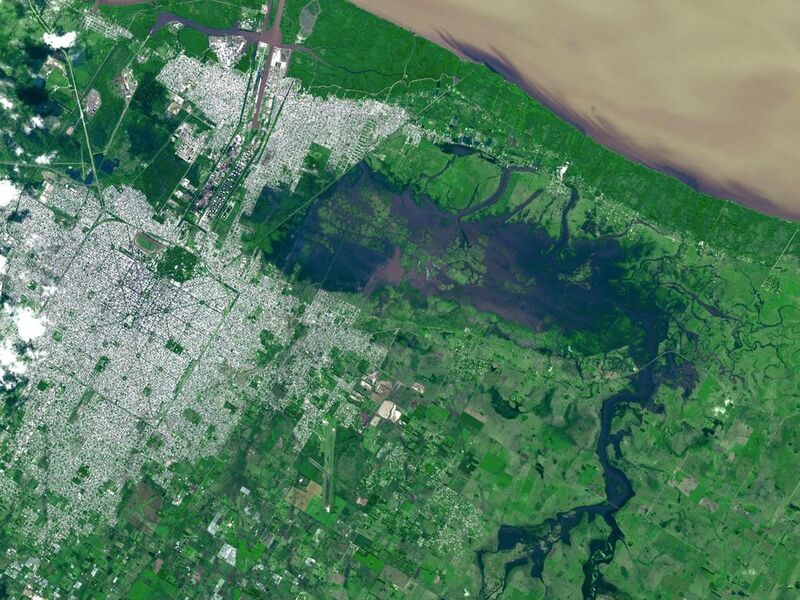 In the image, flooded areas east and west of the city appear in dark blue. 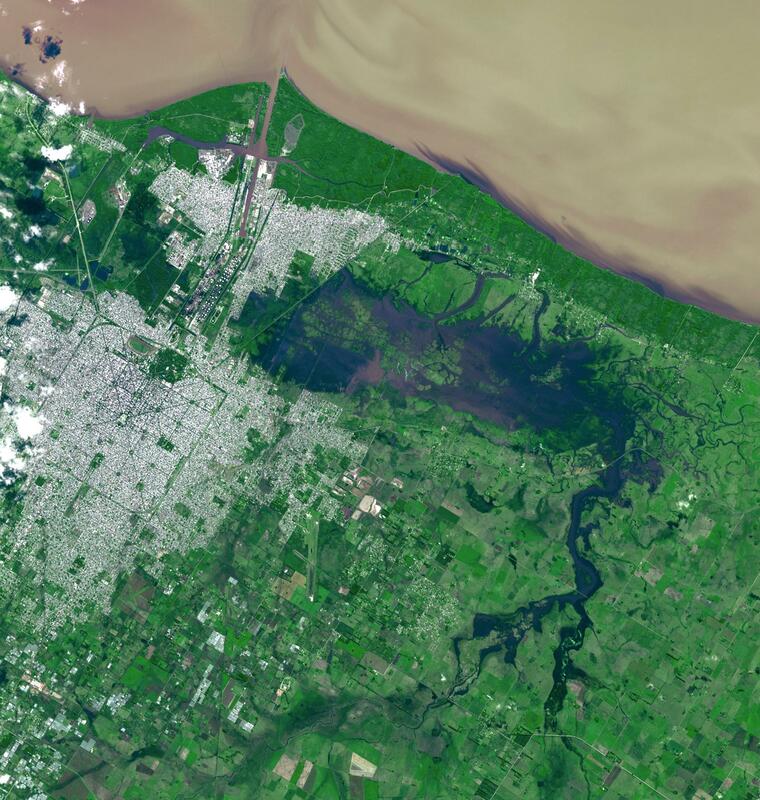 A heavy sediment load gives the Rio Plata its yellow-brown color. The image covers an area of 15.8 by 16.7 miles (25.5 by 27 kilometers) and is located at 34.8 degrees south latitude, 58 degrees west longitude.